Regarding process service, the rules of civil procedure describe what to do. This handy volume tells you how to do it. The Practical Guide to Process Serving looks at the finer points of service, speaks in plain language, and offers realistic situations that may be encountered in the field. 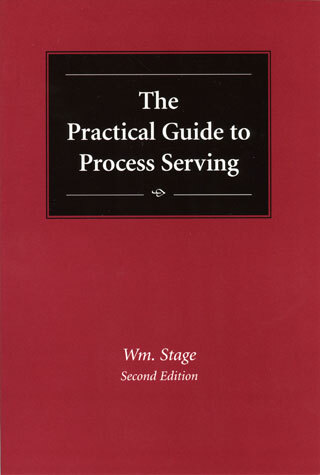 Written by a journalist who entered the profession, this book is a requisite read for the aspiring process server, the novice process server or anyone interested in the arcane world of process serving.